The principal regulator of civil aviation in the UK is the Civil Aviation Authority (CAA).8 It is a statutory body, with its constitution, functions and duties set by the Civil Aviation Acts of 1982 and 2012 as amended (CA Act 1982 and CA Act 2012 respectively). As a matter of UK law, an international treaty or convention does not have direct domestic effect. Accordingly, even when signed and ratified by the UK, an international treaty or convention will only have domestic legal effect when incorporated into UK law by statute, whether directly or indirectly. The UK is currently a Member State of the European Union, and for as long as this remains the case14 it is thereby subject to EU law. In particular, EU regulations have direct application in the UK. The law related to aviation in force in the UK is therefore currently to be found in UK statute, secondary legislation made pursuant to such statute (by way of statutory instrument or Order in Council), EU regulations and related jurisprudence of the Court of Justice of the European Union, as well as the common (i.e., judge-made) law. The UK is party to the Chicago Convention on International Civil Aviation 1944.15 It is also party to the 'Two Freedoms' agreement of the same date. The UK is also currently subject to EU law on such matters as state aid and slots.18 As to competition law, see Section VI. The Cape Town Convention 2001 and associated Aircraft Protocol have force of law in the UK in the form of and as provided by the International Interests in Aircraft Equipment (Cape Town Convention) Regulations 2015. The UK is party to the Warsaw Convention 1929, Hague Protocol 1955, Montreal Additional Protocols (MAP) Nos. 1 to 4 of 1975, the Guadalajara Convention 1961 and the Montreal Convention 1999. In relation to international carriage to which none of the aforesaid conventions apply, the Warsaw Convention 1929 as amended by MAP No. 1 and the Guadalajara Convention 1961 continue to have force of law as set out in Schedule 3 to the Carriage by Air (Applications of Provisions) Order 2004 (2004 Order), while the Warsaw and Guadalajara Conventions continue to have force of law as set out in Schedule 2 to that Order in relation to carriage, to which Schedule 3 does not apply. The UK is not a party to the Rome Conventions of 1933 or 1952 on surface damage, nor to the Montreal Protocol of 1978 on that topic. Further, it has yet to even sign the Unlawful Interference Compensation Convention 2009 or the General Risk Convention 2009. Liability for surface damage is, however, provided for in relation to all carriage (irrespective of whether it is international) by Section 76(2) of the CA Act 1982. It permits damages to be recovered on a strict liability basis for material loss or damage caused to any person or property on land or water by, or by a person in, or an article, animal or person falling from, an aircraft while in flight, take-off or landing (unless the loss or damage was caused, or was contributed to, by the negligence of the person by whom it was suffered); with that liability being upon the owner of an aircraft unless it has been bona fide demised, let or hired out for any period exceeding 14 days to any other person by its owner, and no pilot, commander, navigator or operative member of its crew is in the employment of the owner, in which event the liability is upon the person to whom the aircraft has been so demised, let or hired out. By reason of Regulation (EC) No. 2027/97, the liability of a Community air carrier in respect of all passengers and their baggage is governed by the Montreal Convention 1999 for the purposes of English law, regardless of whether the carriage is international or domestic (see Section II.i). As to surface damage, see Section II.i. The convention-based schemes (outlined in subsections i and ii) of liability in relation to 'aircraft' have been held to apply to helicopters30 and hot-air balloons,31 but not to a tandem heavier than air non-powered paraglider.32 Liability in respect of any means of carriage not by an 'aircraft' will fall to be determined according to the common law (i.e., the law of contract and/or tort, in particular, negligence). Regulation (EC) No. 261/2004 (on denied boarding, cancellation or long delay) currently has direct effect in the UK (see the European Union chapter of this publication). Non-compliance with certain provisions of this regulation is a criminal offence.33 However, to date, no successful prosecutions have been recorded, although the CAA, which is the UK's national enforcement body for this regulation, has undertaken numerous compliance investigations and initiated enforcement proceedings against several air carriers at various times. Directive (EU) 2015/2302 has been given effect in the UK as of 1 July 2018 in the form of the Package Travel and Linked Travel Arrangements Regulations 2018.37 These give various rights to consumers in respect of any contract for carriage by air sold or offered for sale with other travel services so as to form a 'package' or 'linked travel arrangement'.38 They include information requirements, transferability of bookings, protection against price revision, alterations to essential terms and improper performance, rights of termination and to refund, and protection against insolvency. See further Section V.
The UK does not have any other domestic provisions dealing specifically with the rights of air passengers. The general UK statutory consumer protection law is, however, applicable, except where its application to contracts of carriage by air is expressly excluded. It is to be noted that the UK has stringent anti-bribery rules, as contained in the Bribery Act 2010. As to competition law, see Section VI. As to product liability law, see Section VIII.iii. In order to be able to carry passengers, mail or cargo for remuneration or hire, that person will also need a valid operating licence granted by the CAA pursuant to Chapter II of Regulation (EC) No. 1008/2008.45 This requires, among other things, that its principal place of business is located in the UK (see further Section III.ii). It is dealt with substantively in the 'European Union' chapter of this publication. Although such a (UK) Community air carrier46 is entitled to operate intra-Community air services as of right as part of the single EU aviation market,47 it can only operate services to or from elsewhere if it holds a route licence granted by the CAA that authorises it to operate those flights48 (and subject to the availability of traffic rights under any relevant air services agreement with the destination state (see Section I). In practice, such a licence will allow any operations within the area permitted by the holder's AOC, although it may be subject to restrictions in specific circumstances. It is a requirement of an EU operating licence (see Section III.i) that Member States or nationals of Member States own more than 50 per cent of the undertaking to which it is granted and effectively control it, whether directly or indirectly through one or more intermediate undertakings (except as provided for in an agreement with a third country to which the EU is a party).52 This and other requirements of Regulation (EC) No. 1008/2008 for the licence holder are dealt with in the 'European Union' chapter. As mentioned in Section III.i, it is also a requirement of an EU operating licence that the applicant's principal place of business is in the issuing Member State (i.e., in the current context, the UK). Regulation (EC) No. 216/2008 on common rules in the field of civil aviation (the Basic EASA Regulation) and its implementing regulations57 currently have direct effect in the UK, with their application being acknowledged and enforced by the ANO. Together these regulate safety in relation to, among other things, airworthiness, flight crew licensing and training, and aircraft operation with regard to EASA aircraft.58 They are dealt with in the 'European Union' chapter of this publication. The corresponding national regulation in relation to non-EASA aircraft is provided for separately in the ANO. The CAA is the relevant UK regulator in both instances. The ICAO Annex 13 civil aviation safety investigation authority for the UK is the Air Accidents Investigation Branch of the DfT (AAIB).59 Its functions, duties and powers are set by a combination of the Civil Aviation (Investigation of Air Accidents and Incidents) Regulations 2018 and Regulation (EU) No. 996/2010 (EU Regulation 996). All air accidents and serious incidents occurring in or over the UK must be reported to it pursuant to these regulations. Regulation (EU) No. 376/2014 on the reporting, analysis and follow-up of occurrences in civil aviation has direct effect in the UK. The CAA is the competent UK authority for such mandatory occurrence reporting. Regulation (EC) No. 785/2004 (as amended) has direct effect in the UK. It specifies minimum insurance requirements for all aircraft operators and air carriers flying within, into, out of or over the territory of an EU Member State in respect of liability for passengers, baggage and cargo, and third parties. The CAA is the designated UK authority for monitoring compliance with this regulation. The Civil Aviation (Insurance) Regulations 2005 create sanctions for non-compliance with various provisions of Regulation (EC) No. 785/2004, including a number of criminal offences. They also specify the minimum level of passenger insurance for non-commercial operations by light aircraft. The aviation sector is subject to the general provisions of UK competition law, the principal components of which are: in relation to anticompetitive behaviour and abuse of dominant position, Chapters I and II of the Competition Act 1998 (as amended) respectively, which reproduce Articles 101 and 102 of the Treaty on the Functioning of the European Union; and in relation to merger control, Part 3 of the Enterprise Act 2002 (as amended) and the EU Merger Regulation No. 139/2004. The UK's national competition authority for these purposes is the Competition and Markets Authority (CMA).64 Its powers and duties are set out in the aforementioned Acts as amended. Part 6 of the Enterprise Act 2002 imposes criminal liability upon individuals in relation to the making and implementation of cartel arrangements. In England and Wales,67 if death is caused by any wrongful act, neglect or default, then any action for damages against another person that the deceased could have brought (had his or her death not ensued) can be brought for the benefit of his or her dependants.68 The recoverable damages are for their loss of dependency on the deceased (calculated on a multiplicand/multiplier basis), for loss of the pecuniary value (including gratuitous services) that was or would have been provided by the deceased, as well as for funeral expenses.69 Any benefits that have accrued or will or may accrue to any person from the deceased's estate or otherwise as a result of his or her death are to be disregarded.70 Damages for bereavement are also recoverable, but only for the benefit of a limited class of persons71 and in a prescribed amount – currently £12,980.72 See Section VIII.i. Each of the UK's three legal jurisdictions has a separate court system, each with their own rules of procedure but subject to a common apex in the UK Supreme Court. There is also some variation between the substantive law in each jurisdiction, in terms of both applicable domestic statute and common law. In each jurisdiction, civil proceedings may be commenced in one of two levels of court depending on the value and complexity of the claim: in England, in the High Court of Justice or county court; in Scotland, in the Outer House of the Court of Session or sheriff court; and in Northern Ireland, the High Court of Justice or county court. In all of these courts the determination is, in general, by judge alone. There is currently no compulsory alternative dispute resolution scheme in force in the UK with regards to any class of aviation dispute, including in respect of claims against carriers by consumers. Subject to the court having jurisdiction to entertain an action made against the defendant concerned,77 there is no artificial restriction upon who may be added as a defendant to any action (whether carrier, owner, pilot, manufacturer or otherwise). In England and Wales, where the same damage is caused to a claimant by the default of two or more persons then each wrongdoer is liable for the whole damage, regardless of whether any other person is also held liable. The allocation of liability between wrongdoers may be the subject of contractual agreement (e.g., providing for guarantee or indemnity). Any person liable in respect of any damage suffered by another may also be entitled to recover a contribution from any other person liable in respect of the same damage via the Civil Liability (Contribution) Act 1978, in such amount 'as may be found by the court to be just and equitable having regard to the extent of that person's responsibility for the damage in question'. The nature of a carrier's liability will depend upon the cause of action concerned. It is strict in respect of convention liability,78 where the relevant conditions of liability contained in the convention are met, and for surface damage.79 Otherwise, liability will generally be fault-based. The person making a claim bears the burden of proof. The requisite standard of proof is the balance of probabilities. Any convention liability will be subject to any applicable limit of liability contained therein.80 There is no artificial financial limit in respect of surface damage or for fault-based liability at common law. Aside from the CPA, there is no specific statutory scheme for product liability of relevance to the aviation sector.89 Outside the CPA's scope, product liability therefore falls to be determined according to the general common law of contract or tort (in particular, negligence). In the case of personal injury, in England and Wales, general damages are recoverable for pain, suffering and loss of amenity. The amount awarded is usually set by reference to the Judicial College Guidelines and past case law. General damages may also be awarded for such things as handicap on the labour market and loss of congenial employment. In addition, special damages may be awarded for the pecuniary loss suffered for such things as loss of earnings and pension, medical or other expenses, cost of care and the cost of adaptive equipment. Future loss is calculated on a multiplicand/multiplier basis, with the multiplier set by reference to actuarial tables. As to compensation in cases of wrongful death, see Section VII. The UK has a Confidential Human Factors Incident Reporting Programme (CHIRP), which is run by a charitable trust.93 It provides a totally independent, confidential (but not anonymous) reporting system for all individuals employed in or associated with the aviation industry, making available a means by which they are able to raise safety-related issues of concern without being identified to their peer group, management or regulatory authorities. This allows for the collection of confidential safety data. When appropriate, CHIRP acts or advises on information gained through the confidential reports it has received. There is also an independent UK Airprox Board (UKAB),94 to which a report can be made of a situation in which, in the opinion of a pilot or air traffic services personnel, the distance between aircraft, as well as their relative positions and speed, have been such that the safety of the aircraft involved may have been compromised (an 'Airprox'). The UKAB provides impartial assessments on cause and risk for all Airprox reported in UK airspace. When appropriate, it makes safety recommendations aimed at reducing the likelihood of a recurrence of any given Airprox event. No names are published in UKAB's reports, in order to encourage an open and honest reporting environment. As to mandatory reporting, see Section IV. On 23 June 2016, the UK government held a referendum asking whether the UK should leave the EU. It resulted in a majority voting in favour of Brexit (51.9 per cent to 48.1 per cent). On 29 March 2017, the UK government acted upon this result by giving notice to the European Council that the UK is to leave the EU. Pursuant to the terms of Article 50 of the Treaty of Lisbon, this means that the UK will cease to be an EU Member State on 29 March 2019 unless the European Council, in agreement with the UK, unanimously decides to extend the UK's membership beyond that date. Formal negotiations between the UK government and the EU on the terms of Brexit and the UK's future relationship with the EU, including with regards to the application of EU law in and by the UK, commenced in June 2017 and are ongoing. As at the date of writing there has been agreement between the negotiators that there is to be a transition period from 30 March 2019 until 31 December 2020 during which the UK will retain all of the advantages and benefits of EU membership,95 but not on what the position will be thereafter. As to the consequences of Brexit, see Section XI. On 24 October 2017, the government published its 'Consultation Response on UK Airspace Policy: A framework for balanced decisions on the design and use of airspace'.96 This includes a proposal for an Independent Commission on Civil Aviation Noise. On 7 April 2018, the government published an aviation strategy 'next steps' document,97 which sets out its plans 'to make the UK's aviation sector world-leading in prioritising passengers, fostering sustainable growth and promoting trade'. This document outlines proposals that the government says will build on the aviation industry's work to improve the flying experience for passengers at every stage of their journey, including new measures to help passengers make a more informed choice about their flight. It also says how the government intends to work with industry 'to ensure all passengers have a dignified and comfortable travelling experience', including improving accessibility at airports and on aircraft, and tackling the issue of disruptive passengers. On 5 June 2018, the UK government published its 'Airports National Policy Statement: new runway capacity and infrastructure at airports in the South East of England'.98 This asserts that the need for additional airport capacity in the south-east of England is best met by a third, north-west runway at Heathrow airport. In October 2017, the long-established UK carrier Monarch Airlines Ltd ceased flying and went into administration. This left 110,000 customers stranded overseas, who were then repatriated pursuant to a programme organised by the CAA. On 30 March 2018, the government announced an independent Airline Solvency Review charged with looking into how to ensure airlines can wind down in an orderly fashion with minimum impact on passengers and the taxpayer. It is due to report before the end of 2018. At the time that Monarch Airlines went into administration it had made a request for slots at, among others, Gatwick and Luton airports for the summer 2018 season on the strength of its use of equivalent slots there during the summer 2017 season (i.e., historical precedence). In ensuing court proceedings Monarch was held to remain an 'air carrier' for the purposes of Regulation (EC) No. 95/93, notwithstanding that it had become unable to operate air transport services, and so was entitled to those summer 2018 season slots.99 Its entire portfolio of landing and take-off slots at Gatwick airport were sold to British Airways Plc shortly afterwards. 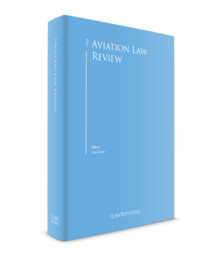 As can be seen in this chapter, EU law currently plays a very significant role in the law applicable to aviation in the UK. It also provides the basis upon which UK air carriers have access to the single EU aviation market and, similarly, the air carriers from other EU Member States have access to the UK. As matters presently stand, it is far from clear whether, and on what terms, this will continue to be the case upon the effective date of Brexit. The UK aviation market and aviation law are therefore likely to endure a considerable period of uncertainty over the next few years. This has already caused some restructuring within the industry as participants seek to protect themselves against what might otherwise be the result of the UK's divorce from the EU and its laws, including the UK carrier easyJet obtaining an EU AOC and operating licence from the Austrian authorities, transferring a proportion of its fleet to that Austrian airline (easyJet Europe) and that new airline commencing operations.100 It is reasonable to expect that other changes will follow, in both market and legal terms. Undoubtedly, these will prove to be at least evolutionary times for the UK aviation market and UK aviation law. 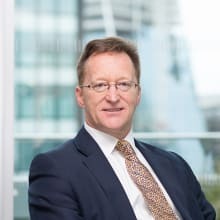 1 Robert Lawson QC is a partner at Clyde & Co LLP. 2 Although the Channel Islands (i.e., the Bailiwicks of Guernsey and Jersey) and Isle of Man enjoy a unique relationship with the United Kingdom through the Crown, in the person of the Sovereign, they are not part of the United Kingdom but rather are Crown Dependencies. See, for example, R (Barclay) v. Lord Chancellor and Secretary of State for Justice  AC 276. 3 In relation to the DfT generally, see www.gov.uk/government/organisations/department-for-transport. 4 Civil Aviation Act 1982 (as amended), Section 1. 5 Civil Aviation Act 2012, Section 2. 6 As set out in the Civil Aviation Acts 1982 and 2012. 8 In relation to the CAA generally, see www.caa.co.uk/home. 9 See, in particular, CA Act 1982, Section 3. 10 Principally, as set out in and under the CA Acts 1982 and 2012. 11 I.e., those having power to provide air transport services and appearing to the CAA to have their principal place of business in the UK, the Channel Islands and the Isle of Man, and to be controlled by persons who are UK nationals or from the time being approved by the SST for this purpose: CA Act 1982, Section 4(2). 12 So far as British airlines may reasonably be expected to provide such services. 13 CA Act 1982, Section 4 and CA Act 2012, Section 1. 14 As to which, see Sections X and XI, below. 15 The Chicago Convention is given domestic effect in the UK largely by and under the CA Act 1982. 16 Article 6 of Chicago Convention maintains such a requirement for schedule services (in respect of contracting states), c.f. the general waiver for non-scheduled services in its Article 5. 17 As to which, see the Civil Aviation (Allocation of Scarce Capacity) Regulations 2007. 18 In relation to the latter see Section X, below. 19 Namely, a carrier within the meaning of that phrase in Regulation (EC) No. 2027/97: 1961 Act, Section 14. Its Article 2 defines this as a carrier with a valid operating licence granted by a Member State in accordance with Regulation (EEC) No. 2407/92. That regulation has since been repealed and replaced by Regulation (EC) No. 1008/2008, as to which, see Section III.i, below. 20 Namely, by Regulation (EC) No. 889/2002. 21 By the Carriage by Air (Revision of Limits of Liability under the Montreal Convention) Order 2009. 22 Air Carrier Liability Regulations 2004 (as amended). 23 See, for example, Barclay v. British Airways Plc  QB 187 at . 24 Sidhu v. British Airways Plc  AC 430; Stott v. Thomas Cook Tour Operators Ltd  AC 1347. But see Dawson v. Thomson Airways Ltd  1 WLR 883 and Gahan v. Emirates  1 WLR 2287, upholding an exception to this in respect of claims for compensation for delay in arrival at the destination pursuant to Regulation (EC) No. 261/2004. 25 As set out in the Carriage by Air (Supplementary Provisions) Act 1962. 27 The Carriage by Air Acts (Application of Provision) Order 1967. 28 Holmes v. Bangladesh Biman Corpn  AC 1112. 29 George v. Eagle Air Services Ltd  1 WLR 2133 at -. 30 See, for example, Fellowes (or Herd) v. Clyde Helicopters Ltd  AC 534. 31 Laroche v. Spirit of Adventure (UK) Ltd  QB 778. 32 Disley v. Levine  1 WLR 785. 33 The Civil Aviation (Denied Boarding, Compensation and Assistance) Regulations 2005. 34 The Civil Aviation (Access to Air Travel for Disabled Persons and Persons with Reduced Mobility) Regulations 2007. 35 2007 Regulations, Regulation 9. 36 Stott v. Thomas Cook Tour Operators Ltd  AC 1347. 37 Superseding Directive 90/314/EEC as given effect in the UK in the form of the Package Travel, Package Holidays and Package Tours Regulations 1992 in relation to contracts concluded on or after that date. 38 For the meaning of these terms see Regulation 2(5) and 2(3) of the Package Travel and Linked Travel Arrangements Regulations 2018. 39 Civil Aviation (Air Travel Organisers' Licensing) Regulations 2012 (2012 Regulations), Regulation 9. 40 2012 Regulations, Regulation 69. 41 CA Act 1982, Section 76(1). 42 Peires v. Bickerton's Aerodromes Limited  1 WLR 2865. 43 Namely, whichever of an EU-OPS AOC or a Part-CAT AOC is applicable to the operation in question. An EU-OPS AOC is one granted pursuant to Annex III of Regulation (EEC) No. 3922/91 as amended: Air Navigation Order 2016 (ANO), Article 2 and Schedule 1. It is required for A to A commercial transport aeroplane operation, i.e., an operation performed by an aeroplane powered by a propeller engine with a maximum operational passenger seating configuration of nine or fewer seats and a maximum take-off mass of 5,750 kg or less; for the purpose of transporting passengers, cargo or mail for remuneration or other valuable consideration; starting and ending at the same place: see ANO, Articles 102 and 2, and Schedule 1. A Part-CAT AOC is one granted under Annex II to Regulation (EU) No. 965/2012 (EASA Air Operations Regulation) authorising the holder to operate commercial transport operations: ANO, Article 2 and Schedule 1. It is required for the purposes of transporting passengers, cargo or mail for remuneration or other valuable consideration that is carried out in accordance with Annex III and IV of the EASA Air Operations Regulation, but that is not an A to A commercial operation: see ANO, Articles 103 and 2, and Schedule 1. 44 ANO, Articles 102 and 103. 45 Certain related provisions are contained in the Operation of Air Services in the Community Regulations 2009. 46 That is, an air carrier with a valid operating licence granted by a competent licensing authority in accordance with Chapter II of Regulation (EC) No. 1008/2008, in this instance by the CAA. 47 See Regulation (EC) No. 1008/2008, Chapter III. 48 As to which, see CA Act 1982, Section 69A, and Civil Aviation Regulations 1991, Part III. 49 The meaning of 'public transport' for these purposes is rather convoluted and is qualified by various special rules and exceptions, as to which, see ANO, Articles 6 to 16. However, at its core, it embraces any flight that is not for the purposes of commercial air transport but for which valuable consideration is given or promised for the carriage of passengers or cargo. 50 ANO, Article 101(1). The CAA must grant such a certificate if it is satisfied that the applicant is competent to secure the safe operation of aircraft of the type specified in the certificate on flights of the description and for the purpose specified, having regard in particular to the applicant's previous conduct and experience, equipment, organisation, staffing, maintenance and other arrangements: Article 101(2). 51 CA Act 1982, Section 64. As to the grant of such a licence see Section 65 and the Civil Aviation Regulations 1991, Part III. 52 Regulation (EC) No. 1008/2008, Article 4(f). 53 CA Act 1982, Section 65(3). 54 ANO, Article 250. A breach of this article is a criminal offence: see ANO, Article 265. 55 See ANO, Article 250(3)–(7). 56 As to the application process itself, see www.caa.co.uk/Commercial-industry/Airlines/Licensing/Foreign-carrier-permits/About-foreign-carrier-permits/. 57 Including those commonly known as the EASA Aircraft Certification Regulation, the EASA Continuing Airworthiness Regulation, the EASA Air Operations Regulation, the EASA Aircrew Regulation and the EASA Aerodromes Regulation. 58 I.e., an aircraft that the Basic EASA Regulation and its implementing regulations require to hold an EASA certificate of airworthiness, an EASA restricted certificate of airworthiness or an EASA permit to fly. 60 Rogers v. Hoyle  QB 265. R (on the application of the Secretary of State) v. Her Majesty's Senior Coroner for Norfolk  EWHC 2279 (Admin). 62 See, for example, Lord Advocate, Petitioner  SLT 450. 63 Chief Constable of Sussex Police v. Secretary of State for Transport  EWHC 2280 (QB). 65 As to this concurrent relationship, see: the Competition Act 1998 (Concurrency) Regulations 2014; and the Memorandum of Understanding between the Competition and Markets Authority and Civil Aviation Authority – concurrent powers (9 February 2016). 66 CAP 1235, dated 12 May 2015: http://publicapps.caa.co.uk/docs/33/CAP1235%20GuidanceontheApplicationoftheCAAsCompetitionPowers%20May2015.pdf. 67 As to Scotland and Northern Ireland see Section VIII.i, below. There are broadly similar, but in some respect distinct, rules as to damages in these two jurisdictions. However, a review of the differences is beyond the scope of this chapter. 68 Fatal Accidents Act 1976 (as amended) (FAA 1976), Section 1. Section 1(3) gives a list of who may qualify as a 'dependant' for these purposes. Section 2 sets a general rule that the action must be brought in the name of the executor or administrator of the deceased. It also provides that only one action may be brought in respect of the death. 69 Where the death is not instantaneous, the deceased's pre-death losses are recoverable by his or her estate pursuant to the Law Reform (Miscellaneous Provisions) Act 1934. This could include any pre-death pain and suffering. 70 FAA 1976, Section 4. 71 I.e., the wife or husband or civil partner of the deceased; or where the deceased was a minor who was never married or had a civil partner, his or her parents if he or she was legitimate and his or her mother if he or she was illegitimate. 72 FAA 1976, Section 1A. 73 I.e., per Article 29 of the Warsaw Convention and Article 35 of the Montreal Convention. 74 See its Sections 2, 5 and 9 respectively. 75 See its Sections 11 and 12 respectively. 76 Dawson v. Thomson Airways Ltd  1 WLR 883. 77 Including as provided for by any exclusive jurisdictional code, such as that in respect of a claim against a carrier as contained in the Warsaw & Montreal Conventions, at Articles 28 and 33 respectively; see Deaville v. Aeroflot Russian International Airlines  2 Lloyd's Rep 67. 78 See Section II.i and ii, above. 79 As discussed in Section II.i, above. 80 See, for example, Articles 21 and 22 of the Montreal Convention, as incorporated into English law as Schedule 1B to the 1961 Act and revised by the Carriage by Air (Revision of Limits of Liability under the Montreal Convention) Order 2009. 82 CPA, Sections 1(2) and 45(1). 87 CPA, Section 2(5) and (6). 89 Save with reference to employees, as to which see the Employer's Liability (Defective Equipment) Act 1969. 90 See its Article 29. 91 In respect of England and Wales, see the Social Security (Recovery of Benefits) Act 1997 and Part 3 of the Health and Social Care (Community Health and Standards) Act 2003 (as amended) respectively. 92 See Donkers v. Storm Aviation Ltd  1 All ER (Comm) 282. 94 See www.airproxboard.org.uk/home. The UKAB is sponsored and funded by the CAA and its military equivalent, the Military Aviation Authority. 99 R (on the application of Monarch Airlines Ltd (in administration)) v. Airport Coordination Ltd  EWCA Civ 1892.